Meanwhile, heat the oil in a large nonstick skillet, then add the chicken. Sprinkle with thyme, salt and pepper; saute until browned, about 6 minutes. Stir in the mushrooms, onion and water. Cook, uncovered, stirring occasionally, until the onion is tender, about 8 minutes. Add the tomatoes, broth, white wine and garlic; bring to a boil. Reduce the heat and simmer, covered, for 10 minutes for blend the flavors. Stir in the noodles, spinach, half-and-half and cheese. Simmer, uncovered, until the spinach just begins to wilt. NOTES: Nothing makes you feel more like a fancy chef than making this dish. Your whole house will smell like a French bistro, and you'll certainly feel as if you're channeling your inner Julia Child. We've made this dish with bone-in, skinless thighs - instead of cubing the raw chicken, we braise the thighs whole and remove the meat from the bone just before adding in the noodles and spinach and whatnot. We've also substituted tarragon for thyme when we were out of the latter and the dish turned out just as good. The leftovers reheat nicely several days after cooking. Just make sure to portion out the broth - you'll be tempted to eat it all at once! Combine chickpeas, onion, parsley, garlic, cumin, coriander, salt and baking soda in a food processor or blender. Process until mixture is coarsely pureed and transfer to large bowl. Stir in flour; shape mixture into 4 large patties and let stand for 15 minutes. Heat oil in a large ovenproof skillet over medium-high heat. Add patties and cook until golden brown, flipping once, about 2 minutes per side. Transfer skillet to oven and bake 10 minutes more. Meanwhile, whisk together tahini, water and lemon juice in a small bowl. To assemble sandwiches, place 2 lettuce leaves inside each pita, add 1 falafel patty and drizzle with 1 tablespoon of tahini dressing. NOTES: Mmm... now THIS was a home run. The falafel patties are super-easy to make and the sandwiches are a breeze to assemble. We used Boston (aka bibb) lettuce leaves because they are a tad softer and look really nice. I think next time we might add some red onion slices or even tomato, but neither are necessary. The weird part about this dish is that I would have swore there was feta cheese in my sandwich as I was eating it, even though I knew there wasn't. I guess the combination of the pita and falafel and tahini dressing add up to tasting like feta. We served this with Asian cucumber salad - we were going to do a Greek cucumber salad with yogurt, but thought that the creaminess of the tahini was enough creaminess for one meal. The two dishes were perfect together and we'll definitely be adding this one to the standard meal rotation. Brown turkey in large skillet. When turkey is cooked through, stir in taco seasoning. Add the veggies, tomato sauce and water to the skillet. Cover and simmer for 20 minutes or until veggies are tender. Serve the taco mixture with lettuce as lettuce wraps, and top with salsa. TIP: We didn’t have any tomato sauce the last time we made these, so I stirred in half a can of diced tomatoes instead and it was delicious. I think next time we’ll add both the tomato sauce and some diced tomatoes. This could be a good way to use up summer tomatoes. NOTES: These are so delicious, and the turkey mixture reheats really well so you can eat leftovers the next day. Heat the olive oil or butter in a high-sided skillet over medium heat. Add the onion and pepper, and a pinch of salt. Sweat them until they are soft, but not brown - about 3-4 minutes. Add the garlic and cook until fragrant, about 30 seconds. Add the corn kernels and some more salt and pepper to the skillet. Raise the heat to high and cook quickly until corn brightens in color and is heated (if you like softer corn, use lower heat and cook longer). Remove from heat and stir in lime juice and basil. Serve hot or cold. TIP: Cut kernels off of corn cobs by standing each ear of corn on its end in a big bowl and slicing from the top downward. 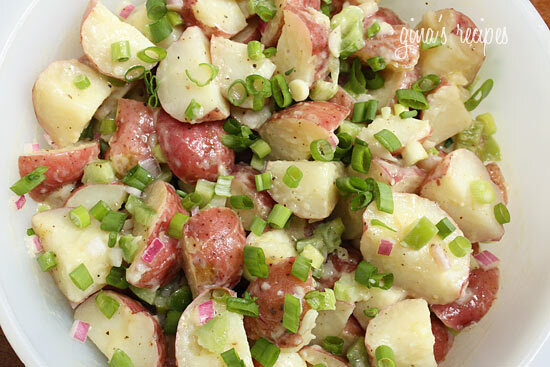 NOTES: This is a fantastic side dish with just about anything in the summer months. Really easy. The lime and basil are surprisingly great with the corn.